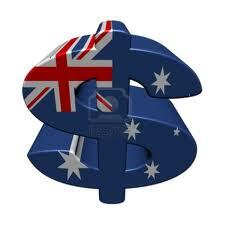 Australian dollar slipped to a fresh 11-month low against the US dollar during overnight European hours trading. At approximately 0342 AEST Tuesday afternoon, the Australian dollar traded at $99.43 having reached $99.41 earlier, a level not seen since June 2012. According to the senior currency dealer Francisco Solar, the Australian dollar pushed below support level at $98.50 in the afternoon which means there’s a possibility for it to drop overnight trading. "It (the move lower) is just in keeping with the negativity surrounding the Aussie dollar at the moment and the positivity surrounding the US dollar," he said. Francisco Solar also mentioned the main reason for the currency’s weakness was the surge in demand in the US dollar even with the falling commodity prices and interest rate cut weighing upon it. On Wednesday, At 1700 AEST, the Australian dollar was at 100.65 Japanese yen, down from 101.22 yen and at 76.45 euro cents, down from 76.56 euro cents. The June three-year bond futures contract was at 97.440 (2.560 per cent), up from 97.410 (2.590 per cent).